Trend to Try / Clogs. — Striped Intentions / a life and style blog. Trend to Try / Clogs. I never thought I'd say this, but clog have definitely flown over my radar over the past few weeks. After seeing a summer style on Caroline a few weeks back, the whole idea suddenly became more appealing. 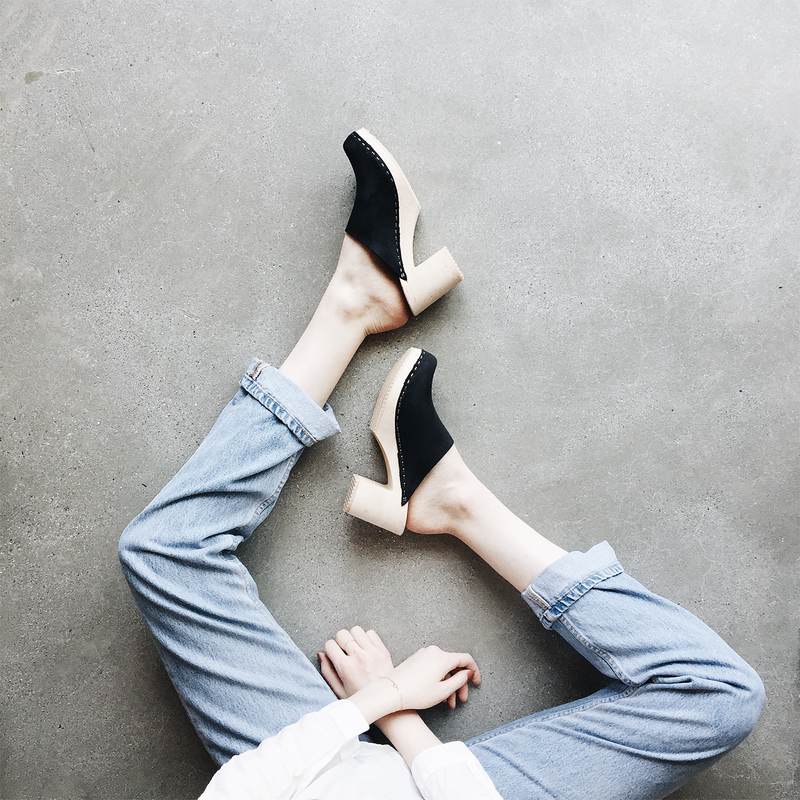 I live for a slip on shoe for the summer, so why not transition the idea in fall? While I haven't bit the bullet quite yet, I have been doing my fair share of online window shopping. Below I've collected a few of my favorites that aren't too spendy. Feel free to shop and let me know your favorites in a comment! How do you feel about clogs? Yay or nay?